For many, drinking alcohol is a common pastime that doesn’t lead to any serious issues. Alcohol is legal to adults 21 and over and readily available in our society. However, for some, drinking alcohol is far less lighthearted. An estimated 16.6 million American adults have an alcohol use disorder, and the numbers just keep rising. Furthermore, 33 percent of visits to the emergency room is related to the consumption of alcohol- and alcohol is the third-leading preventable cause of death in America. Not only is alcohol abuse possibly deadly, but withdrawal from alcohol can be fatal as well. Alcohol withdrawal occurs after someone with a dependence on the substance suddenly stops using it. So how is alcohol dependence started? Well, it relies upon brain chemistry. When alcohol is consumed, dopamine is elevated in the brain, resulting in a flood of pleasant emotions. However, when alcohol leaves the body, these feelings and dopamine dissipate, leading the user to seek out more and more alcohol to generate the original emotions. When one gets addicted to alcohol, their brain begins to expect its presence, and stops creating dopamine and other important chemicals at the same levels. So when does alcohol withdrawal begin? Well, it starts at about six to 24 hours after one’s last drink. 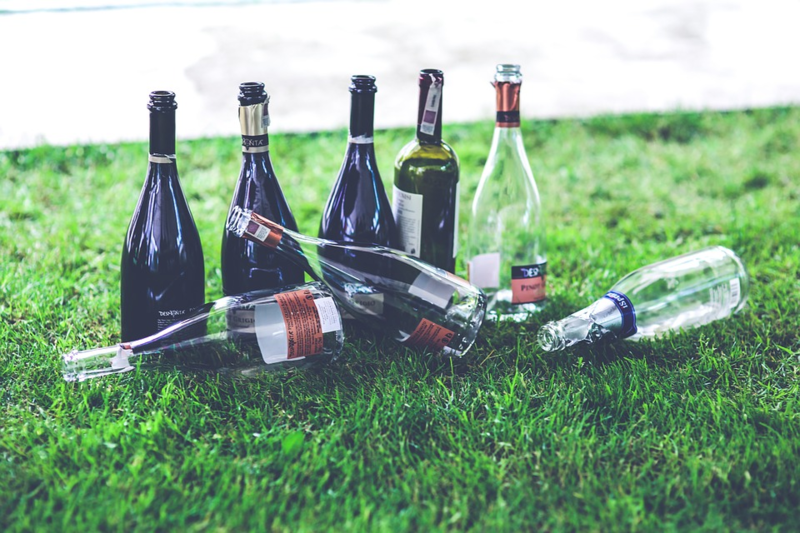 Depending on the severity of alcohol abuse, alcohol withdrawal can be categorized into one of three stages, with one being the least severe and three the harshest. Stage one of alcohol withdrawal is the mildest- but still serious, often including mood swings, heart palpitations, insomnia, nausea, anxiety, vomiting, tremors, fatigue, unclear thinking, and lack of hunger. Stage two of alcohol withdrawal is more serious than stage one. Stage two involves increased body temperature and blood pressure, trouble breathing, mental confusion, severe mood disturbances, anger, sweat and irregular heart rate. Stage three of alcohol withdrawal is the most severe- you may have heard it referenced as delirium tremens. Stage three occurs in late stage alcoholics and is the most likely to be fatal. It includes seizures, severe confusion and lack of mental processing, severe agitation, hallucinations and fever. Delirium Tremens are estimated to occur in 3-5 percent of individuals withdrawing from alcohol. DTs can occur without any warning- it is extremely important that anyone undergoing DTs be under medical supervision so the symptoms can be monitored. Without medical supervision, an individual’s safety will be greatly compromised. It is never recommended, no matter the stage of alcohol withdrawal, to quit drinking cold turkey. This can be fatal, as the sudden removal of alcohol, a central nervous system depressant, is very traumatic for the body. With that said, it is of the utmost importance that an individual undergoes alcohol withdrawal in a supervised medical detox. A medical detox will have a well-trained staff of addiction professionals to help oversee the detox process. If you are searching for a medical detox center in South Florida for you or a loved one undergoing alcohol withdrawal, Allure Detox is your best option. The best detox center in Boca Raton, Allure Detox will make sure those detoxing are in minimal discomfort while maintaining absolute safety. Furthermore, Allure Detox will help provide aftercare plans and other resources for initiating a lifetime of sobriety.